Simvastatin is a prescription medication used to lower high cholesterol. It belongs to a group of medicines called statins and needs to be taken on a regular basis. Patients who have been taking Simvastatin for at least three months can use our convenient service to order their repeat supply of tablets - without having to see their GP. To buy Simvastatin tablets, answer the questions on our brief questionnaire. Our doctor needs to know why and for how long you have been taking the statin before issuing a prescription. 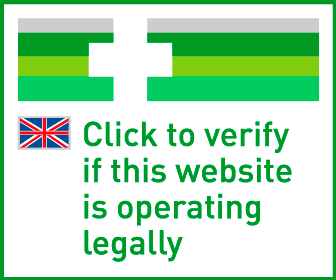 Once your treatment has been approved, the Superdrug online pharmacy will dispatch your order. The doctor’s prescription and delivery are included in the price. 10mg, 20mg and 40mg tablets available - Prices include prescription and delivery. 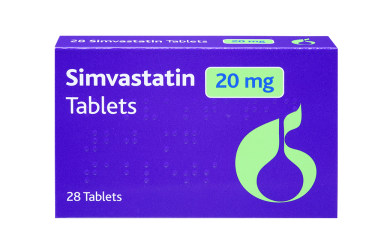 Simvastatin belongs to a group of medicines known as HMG-CoA reductase inhibitors. HMG-CoA reductase is a liver enzyme, which is involved in the production of cholesterol. Medications such as simvastatin block the action of this enzyme, which means that less “bad” LDL cholesterol is produced. As a result, your blood cholesterol levels are lowered, which is thought to reduce dangerous complications such as stroke and heart attack. Simvastatin also reduces blood levels of other blood fats (for example a type of blood fat called triglycerides). In addition to taking simvastatin, you must follow a low cholesterol diet. Your GP will advise you on how to plan your meals and reduce your intake of cholesterol and saturated fats. What Dosage Of Simvastatin Is Right For Me? You may need to take Simvastatin 20mg, 40mg or 80mg, depending on your prescription. The exact dosage depends on how well you adjust to taking the statin and how effectively simvastatin lowers your cholesterol. The maximum daily dosage is 80mg. Patients who suffer from particular health conditions (for example kidney disease) or are taking other medications are often prescribed a low dosage to prevent side effects. Please note, product packaging may differ from the image above. How Should I Be Taking My Simvastatin? Are There Side Effects Of Simvastatin? Does Simvastatin Have Drug Interactions?